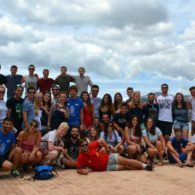 This month the honour of Local of the Month goes to AEGEE-Ankara: an active local many interesting Projects and Working Groups and this article gives you an insight into the world of AEGEE-Ankara. The AEGEEan: Congratulations on becoming Local of the Month, how does this honour make you feel? AEGEE-Ankara: It directly makes you smile when you see an e-mail that was dropped to your inbox! Then, you understand that as whole local, we have been doing inspirational activities for a long time. It is a success that was achieved by many people in years. 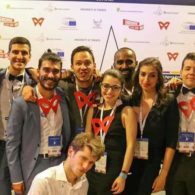 What is the story behind AEGEE-Ankara? AEGEE-Ankara was founded in 1993 by a group of young people from the Middle East Technical University and accepted to AEGEE Network during Fall Agora Budapest in 1995. 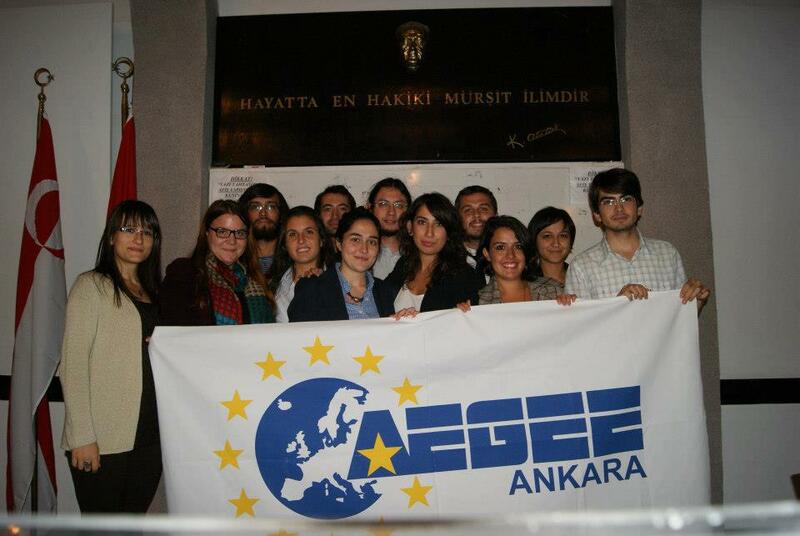 Later on, AEGEE-Ankara became one of the most active locals of AEGEE-Europe. Integration of Ankara into AEGEE is perceived as a revolution because AEGEE decided to break dogmas about modern European borders and brought a new conception to “Europe of values”. Currently, AEGEE-Ankara has more than 250 members and many projects running. Can you tell a little about your exchange project with AEGEE-Utrecht? This exchange aims to discuss where LGBT is standing in a society within the framework of biphobia, homophobia and transphobia and whether they are given a ‘place’ in a society or not. The thematic part of the project is intended to be handled considering every aspect of LGBT Rights via presentations, panels and workshops in both Turkey and the Netherlands. The project has been in works since EBM İzmir and now, both antennae completed their thematic works and project documents. In the meantime, both antennae have been searching for possible funds and also are in contact with each other, aiming to realise the project this summer called “Meet me with me Under the Rainbow”, with exchanges to take place both in Ankara and Utrecht. Currently, there are three projects group and two working group in AEGEE-Ankara. We have one Project Group Under the name of “SUNSET: SUstainable Nature, Sustainable EntertainmenT”, Summer University Project Group of AEGEE-Ankara which is working hard on our TSU taking place this summer. Another Project Group concerns “EURENSSA” which has been organised every summer since 2006. It’s a project organised by students for students. The main aims are to create a meeting place for students with a background of studies in environmental sciences and sustainable development. 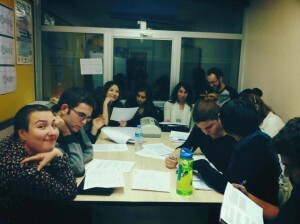 It is an open-air event lasting usually 7-10 days, and AEGEE-Ankara is planning to organise EURENSSA on the coast of Aegean Sea in the summer of 2013. Participants from different countries and culture will together with the organisers take part in thematic trainings and workshops on sustainable environment and organic agriculture while enjoying Aegean Sea and natural beauties of Aegean region. Regarding the Working Groups there are three: One of them is dealing with the exchange with AEGEE-Utrecht, another is involved with the Turkish-Armenian work that AEGEE-Ankara does and the third is an International Political Working Group which since 2000, has been actively working on political issues around the world. The group especially is focusing on European Union and its structure, Turkey –EU relations and Visa freedom. IPWG of AEGEE-Ankara is also trying to keep in touch with IPWG of AEGEE-Europe frequently. What is the Turkish-Armenian Civic Dialogue project with AEGEE-Yerevan? It began with the project “Two Sides of a Mountain” which was implemented in 2009 in Hatay with participants from Armenia. Recently, the Turkish-Armenian Working Group has been writing a project document for Turkish-Armenian Civil Dialogue The project group started to work on a new project under the name of ‘Neighbourhood of Under the Roots (NOUR)’ which will take place in Yerevan. NOUR Project aims to reveal the common cultural heritage and how we are willing to live together. Cooperating with AEGEE-Yerevan, we truly want to put this exciting project in practise. Just like last year, the group is trying to manage a trip to Yerevan this spring in order to organise NOUR closely with AEGEE-Yerevan. Till the end of the year, the group will manage to organize panel discussions, trainings on hate speech and conflict resolution, and Turkish-Armenian Peace Nights. According to Peace and Stability field, we are going to continue to work on this topic. You have also had the Turkish-Greek dialogue in the past. What was it about, is it something that will continue? Turkish-Greek Civic Dialogue project has been one of the large-scale and long-term projects of AEGEE marking one of our main pillar Peace & Stability for three years. The project was not the only initiative in AEGEE focusing on establishing dialogue between Greek and Turkish young people, and luckily it was not be the last one. After establishment of AEGEE locals in Turkey in the 90s, AEGEE realised the necessity of establishing such a dialogue thanks to its own experience and relations between Turkish and Greek AEGEE members those days. Expansion to the East and accepting a local branch of Turkey has been a largely discussed issue within the AEGEE network. Once AEGEE-İstanbul was accepted to AEGEE network in the early 90s, there have been a lot of discussions in AGORA-Kos. Later on, when AEGEE-Ankara was accepted to the network in 1995 in AGORA-Budapest, there were still tensions between Greek and Turkish members of AEGEE. AEGEE experienced the negative consequences of Turkish-Greek conflict itself and focused its activities on peace-building between two countries as an organisation acting for peace and stability. In the end, the idea of “Turkish-Greek Civic Dialogue” project raised from this conflict and tension that we all experienced. 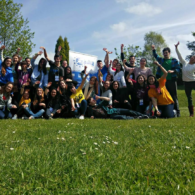 It aimed exactly to help young people to know each other better within and without AEGEE, lasted 3 years and hosted conferences, workshops, festivals and warm relations between young people of both countries. Recently Burcu Becermen became honoury member of AEGEE, how does this make you feel? Burcu Becermen was the project manager of Turkish-Greek Civic Dialogue, projects director and president of AEGEE-Europe. She was also honorary member of AEGEE-Ankara with other other members. When she was nominated for honorary member of AEGEE-Europe by Comité Directeur, we were proud of her one more time. She was a great inspiration to almost every member of AEGEE-Ankara. When we are telling about AEGEE and AEGEE-Ankara to new members, we always mention her and Turkish Greek Civic Dialogue project. Do you promote the European Level of AEGEE to your members in order to make them become more active in AEGEE? As AEGEE-Ankara, we promote the European Level of AEGEE to our members in order to make them become more active in AEGEE as much as possible. For example, Gizem Karslı from AEGEE-Ankara was part of the Comité Directeur last year. Recently, one of our members is currently working in EuroArab Project as HR and another one is working in AEGEE-Europe Events Committee as PR. Additionally, we always mention AEGEE-Europe, its structures, working and project groups during our local Agorae, local trainings and acquaintance meetings of AEGEE-Ankara to newbies. Hence, we are regularly sharing all the announcements of European Level Events, AGORAe, EBMs and NWMs with our members via social media and informing them the content of these events. We encourage especially our new members to attend Agorae and EBMs as visitors in order to help them gain AEGEE experience and spirit. 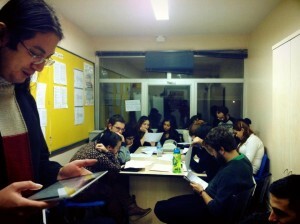 What lies in the future of AEGEE-Ankara? Are you organising more thematic events? We are sure that every successful and inspirational project idea needs a thematic background in order to raise our member’s knowledge and gain more awareness. Since we are specifically paying attention to thematic achievements in AEGEE-Ankara, our events have been developed from thematic backgrounds. Besides our motivated members, we tend to have partners on our projects from any areas that we are working on. Help of other organisations on our projects as partners are always welcome and we believe that it increased success of our projects. It is great to see thematic forming an important part of local work in AEGEE and it will be interesting to follow the outcomes of whatever AEGEE-Ankara has planned in the future. Laura Garcia Rueda for SUCT "I've applied for SUCT because for me the SU project has a lot of potential to make the association more known, get and motivate members"". 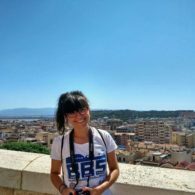 Vasiliki Andrioti for Member of SUCT: "I Think that Quality Should Be a Priority When It Comes to a Project like Summer University, and I Am in the Position to Offer This Quality as Content Manager"